Hows up!! Muzaffarpur People, This is the admin from Muzcorner. Today we discuss the Power Outrage problem in Muzaffarpur City. 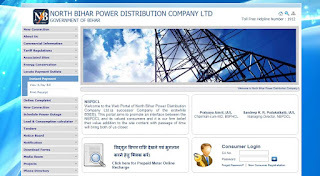 As we know, the responsibility of Muzaffarpur Electric Power supply is recently given to North Bihar Power Distribution Company Ltd. Previously Essel Vidyut Vitaran holds this responsibility and if you ask our opinion 1-2 years earlier they are not performing well in their work. However, Irony is their contract has been given to NBPDCL at that time when they perform very well in their work. Now, as NBPDCL takes the responsibility of Electricity in Muzaffarpur, seems like they are not performing well. We are not just talking Power Outrage problem which is quite increased after NBPDCL takes the charge but we also face the low voltage when our meter is ON. To let you aware, Government stripe off the Electricity contract from Essel Utilities because of this same reason. However, During their last journey phase, they perform very well. Muzaffarpur citizens timely get their Electricity Bill. Even, the company sends out a personnel to check the Electricity Meter in Every House. As we talk about the Electricity bill, consumers still don't get their Electricity Bill from past one and a half month after NBPDCL take over Essel Utilities. When we check the NBPDCL website, we get to know that there they have made a page from where a consumer can generate their new CA number via their old consumer number. However, we take several attempts to create a new CA number but we fail to do so. I think didn't explain it well or there is something wrong on the portal. When we talk with some local people they tell us, to generate a new CA number one has to visit the nearest NBPDCL office. Even we call on their helpline number that is mention on their site i.e. 1912. But we can't get a response from their too. Hows up!! Muzaffarpur People, This is the admin from Muzcorner. Today we discuss the Power Outrage problem in Muzaffarpur City.